The SACP will contest Free State’s Metsimaholo municipality by-elections next month. Although the African National Congress (ANC) is disappointed by the SA Communist Party (SACP) decision to go solo and contest Free State’s Metsimaholo municipality by-elections next month, the governing party will ”further engage” with its alliance partner again, said ANC secretary-general Gwede Mantashe. “The ANC NEC [national executive committee] views this (SACP) decision as regrettable, particularly in a marginal municipality such as Metsimaholo. In line with the decision of the Alliance Political Council held last month, the NEC has called for a follow-up meeting to be held without delay,” Mantashe told reporters in Johannesburg on Tuesday. 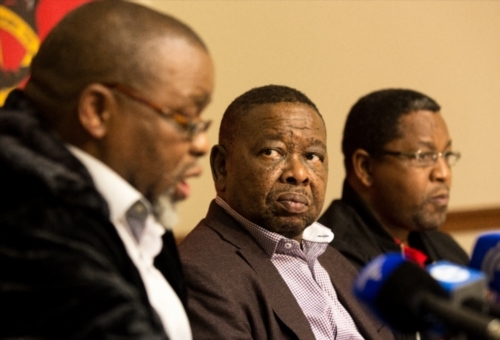 Following its elective conference decision to contest future polls alone for the first time, the SACP has lined up 42 candidates to contest the Sasolburg municipality by-elections at the end of this month. Tensions within the ANC-led tripartite alliance saw the vanguard party take a decision to contest future elections alone at its July elective conference held in Ekurhuleni. The SACP, once staunch supporters of President Jacob Zuma, having helped him ascend to power in 2009, has since become sharp critics of his presidency and party leadership. The party, along with the Congress of SA Trade Unions (Cosatu), the third member of the tripartite alliance, have called for Zuma to step down as allegations of state capture and corruption scandals mount against him. The Free State provincial government dissolved the Metsimaholo coalition municipality in July after it failed to adopt its 2017/2018 budget.